As you may have heard, Nokia revealed a version of the S60 user interface today that includes a touch-based interface, squarely taking on the same market as Windows Mobile PocketPC phones and, perhaps more notably, the Apple iPhone. The demonstration video, which you can view below, tells you how great it will be to get your fingerprints all over the cell phone screen. There’s an unknown device depicted in the video that bears an eerie resemblance to what a Nokia iPhone would look like, but it’s obviously running on this new S60 Touch UI rather than Mac OS or WinMo. First, the good news. After countless rumors that have flip-flopped in both directions, it now appears the Apple iPhone will indeed be heading to Canada via Rogers Wireless. The bad news is that Rogers will be charging twice as much as AT&T for the touchscreen-equipped cell phone, slapping on a price tag of $799. But wait, it gets worse. Whereas AT&T subscribers in the United States can sign up for an iPhone plan that provides unlimited data, no such wireless data plan currently exists for Canucks with Rogers Wireless. Instead, you can do a pay-as-you-go data plan for $0.05 per KB. Alternatively, there is a $5/month and a $10/month plan for 5MB and 10MB respectively with additional kilobytes coming in at 3 cents each. A web search here and a YouTube video there, and you’ve got yourself one massive data bill. And that’s before you get any minutes, text messages, or caller ID. Ouch. Now that the iPhone has been unlocked — even firmware 1.1.1 has tentatively been cracked — it makes more sense for Canadians to cross the border and buy an iPhone for $399 from an Apple Store than it does to purchase the same device from Rogers Wireless. Bear in mind that the $799 price point is still little more than a rumor. Apple announced that it has sold its 1-millionth iPhone. The company had predicted it would sell 1 million handsets by the end of the third quarter, and with weeks to spare, Apple says it has met its goal. 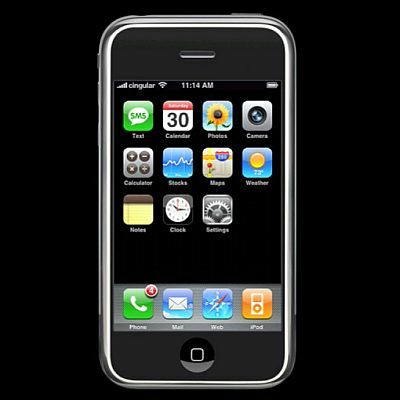 The company has said it hopes to sell 10 million iPhones by the end of 2008. Meanwhile, according to a report in BusinessWeek, Apple may be looking to bid at the FCC’s upcoming 700 MHz spectrum auction. Rumors mostly have been circulating about Google’s possible entrance into the wireless market via the spectrum auction, but BusinessWeek says that two sources are claiming that CEO Steve Jobs has studied the possibility of bidding in the auction. The report continues to say that at least one source told the magazine that Apple was thinking that the hassles of running a national network would not outweigh the profits to be gained from no longer having to partner with network operators. The magazine’s other source seemed to think that Apple was still in favor of the benefits of dropping carrier partners. Microsoft said that it was “not unreasonable” to speculate that the company could introduce a smartphone based on its Zune digital music player, in direct competition with Apple’s iPhone. Since Microsoft first announced its Zune digital music player, the idea of a converged Zune/smartphone product has been the topic of speculation. Initially the company responded that a Zune phone was definitely in the works, but then earlier this year CEO Steve Ballmer said that a Zune phone was not on the company’s planning table, but that it could add more music and gaming functions to its Windows Mobile platform. Currently Microsoft’s mobile phone focus has been primarily on providing its platform, Window’s Mobile, to handset manufacturers, but the company said that, going forward, integrating device and software production might make sense. Apple is expected to unveil its next-generation iPod lineup, including an iPod video with a touch-control interface, at a press conference on September 5, according to sources at Taiwan-based contract manufacturers. 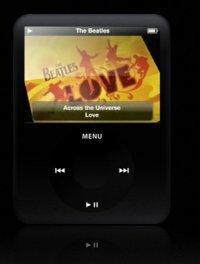 The new iPod video will also come with a wide-screen panel, high storage capacity and Wi-Fi connectivity, the sources indicated. In addition, the new iPod video is expected to be powered by NAND flash, instead of a hard disk drive (HDD). Since its release nearly two months ago, the iPhone has proven to be a rather disruptive device, not only in the mobile market, but on the web as well. With designers and developers scrambling to get a foothold in this new market, issues have surfaced and (in many cases) tempers have flared. The folks at Gizmodo apparently posted up a supposed spy shot of the upcoming iPhone nano, but shortly after doing that they apparently received a dossier from the legal eagles at Apple, politely asking them to remove those spy shots due to the fact that they’re still “intellectual property”. At least the spy shots confirm that the device in question definitely belongs to Apple, although it cannot be confirmed as at press time as to whether it is the final product or still a fledgling prototype. Are you excited about the prospect of holding a brand new iPhone nano in your hands sometime down the future? Will the user experienced be “gimped” as certain quarters speculate? I think the iPhone nano will still generate a whole lot of buzz and even more sales, but as to whether it is a gadget worthy of long time love, that remains to be seen. The Financial Times reports that Apple has chosen some of its European partners for the iPhone: T-Mobile of Germany, Orange of France and O2 in the U.K. have signed contracts with Apple that see them paying Apple 10 percent of the revenues made from the calls and data transfers from iPhones. While none of the carriers would comment on the report, the newspaper’s sources say that the carriers will officially announce their deals with Apple at the IFA trade fair in Berlin at the end of the month.The deal, if true, marks a watershed moment for the carrier/handset maker relationship. Is Iphone heating into lot of troubles? ?Sure they are but what is that people think of iphone.Here is a quick cap of what most of he voices are heard on internet for iphone. I don’t even car about the features, that phone is BEAUTIFUL. I wants. WOAH! I love it! It’s even sexier than the iPhone! I hope it’s not on stupid Cingular/AT&T. If it’s true to the Google spirit, it will be available for all carriers. Is this a confirmed rumor… That Google is making a phone? I’ve heard it debunked a few times. But I would totally love it if they did make one. i am a google fan! If they pair with verizon that would be awesome as verizon rocks. I wonder if this is why verizon passed on the iphone? they were alredy in talks with google? A report in the New York Post today claims that Apple is secretly gearing up to push its iPhone as a gaming platform. The article cites “various on- and off-the-record sources” as claiming “Apple has been secretly plotting its foray into portable video games for months, looking to add games to its hot iPhone”. “I was told that a major game developer was seeded with iPhone [technology] quite some time ago,” comments AppleInsider.com’s EIC Kasper Jade. The NYP also adds: “Apple is expected to make a gaming announcement soon, ‘by Macworld in January at the latest,’ says Engadget.com editorial director Peter Rojas”. The positioning of iPhone as a mobile games platform, most likely serviced by downloads from iTunes, would put Apple right up against Nokia’s soon-to-be unveiled next-gen N-Gage platform, though the latter will be available across a raft of mass-market handsets as opposed to one with very limited availability. A games-enabled iPhone would also encroach on territory currently occupied by Sony’s PSP and the Nintendo DS, though again those devices are available in much nigher volumes. The iPod itself became gaming compliant with a software update in September last year, with Video iPods able to download a selection of games from iTunes. But Apple has kept the portfolio tightly controlled. Titles from EA, PopCap and Apple itself (many of them casual oriented or remakes of classics like Bejewelled) have been available since launch, with just one or two added to the line-up since, including a new music quiz game Musika from Parappa the Rapper creator Matsuya Matsuura, released last week. Some developers, including PopCap, have already utilised the iPhone’s web-browser to run gamesA report in the New York Post today claims that Apple is secretly gearing up to push its iPhone as a gaming platform. Google has been aggressive in developing location based services, has amp-ed up its local search and mapping services. In addition, it has also been mobilizing its applications such as GTalk and GMail. YouTube, the video arm of Google, is beginning to embrace the mobile ecosystem. The media has been abuzz over the past 24 hours as the Wall Street Journal has reported that Google has begun presenting their phone strategy to carriers. While much of this information is not new, the fact that mass media is covering it, has caused new focus on the initiative. Speculations have been roused once more concerning Google’s foray into the mobile segment as Reuters and The Wall Street Journal last week reported the search engine giant had invested hundreds of millions for a cellphone project. The WSJ report also said Google has developed prototype phones and talked over technical specifications with manufacturers including LG Electronics. But Google continued to dodge questions on whether it actually has mobile hardware in the pipeline. In an email response to Reuters, Google said it is “partnering with carriers, manufacturers, and content providers around the world,” but gave no further details. It has said wireless was an increasingly important market but it has not announced plans to build a phone. Reports of Google’s cellphone venture have been persistent since early this year, but the company had repeatedly declined to make any confirmation. Apple today has released an iPhone firmware 1.01 update via its iTunes software, which it says brings several bug fixes. 27.6% of Japanese mobile phone users would buy an iPhone if it became available in Japan. Some news sources wrote that the battery could not be replaced by users, Business 2.0 writes that Apple may not have made it clear that the battery would have to be replaced by AT&T until after the phone was launched. So, Apple gets a class action suit and some complaints. It is hard to believe that the legal action will prevail. Since the battery is sealed in the phone, the replacement characteristics are obvious. But, the issue could hurt iPhone sales. Cell phone users have become accustomed to walking into a store and buying a replacement battery. After about 400 charges the iPhone battery begins to lose its power to hold new charges and the cost to replace the battery is $80. No matter how cool the phone is, the battery replacement will cost as much as buying some new handsets do. Some cell phone users just won’t buy that.